As part of our five week road trip through the Deep South (first stop Charleston), we headed down to Savannah, the oldest city in Georgia, to see what there was to do. This, it turns out, was quite a lot! From our explorations, we’ve put together this post, which will give you plenty of ideas for things to do in Savannah. 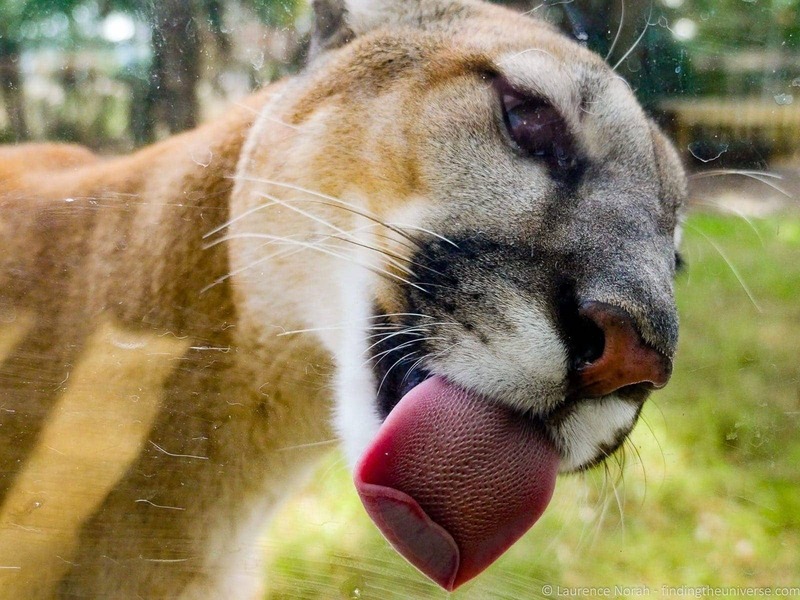 We actually spent five full days in the Savannah area, visiting museums and attractions, eating excellent food, watching muskets get fired and we even met a mountain lion! As you can see, there are a lot of things to do in Savannah! I’ve whittled down all our adventures from our Savannah visit into our favourite sights to give you some ideas for your visit. Following the guide to things to do, we’ve also included tips on where to stay, getting around, and tips for getting here and away. 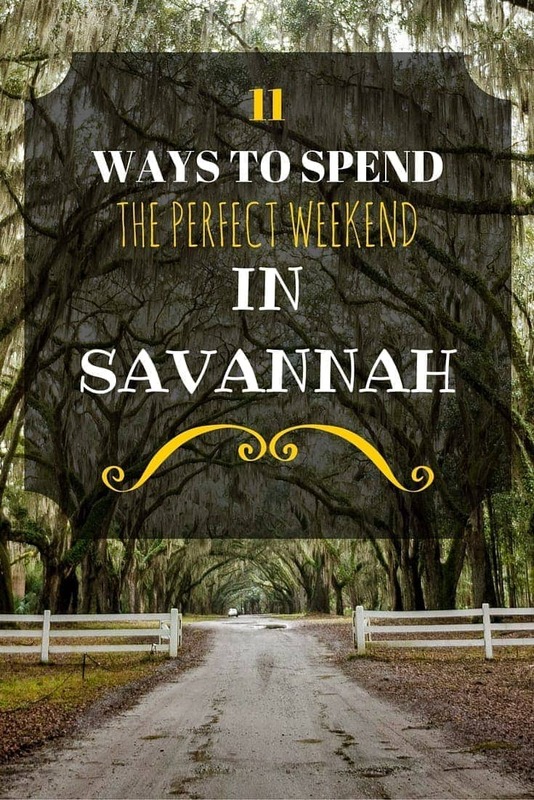 This list of things to do in Savannah would work for spending 2 days in Savannah, for example for a weekend in Savannah, but could be modified to suit any length of visit. Let’s get started. We spent five days exploring everything there was to do in Savannah, and from that we’ve put together this list of things to do in Savannah to give you ideas for what to do – everything from where to find the best BBQ through to museums and cultural attractions. We’re sure you’ll find something to love on this list! 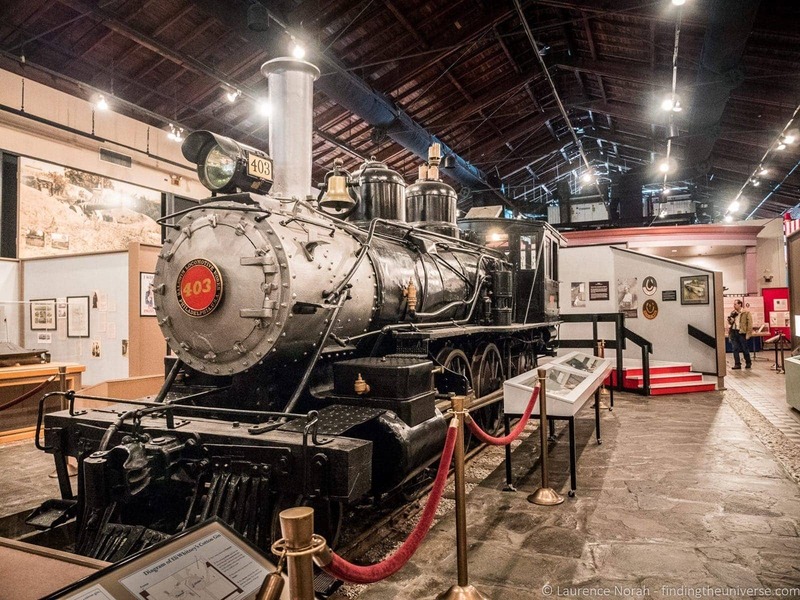 Housed in a former railway shed, this well laid out museum has lots of information about the history of the area. This goes from the founding of the colony, through to the American Revolution, battles of the American Civil War, and the civil rights movement. If you’re not familiar, the history of the southern US states is one that revolves heavily around race relations, with the civil war revolving around slavery, after which there were decades of struggle for equality and civil rights. The history museum covers more than the civil war and civil rights movement of course (and if you’re interested in these topics, I’ll be posting more on those as our journey continues through Alabama and Louisiana). One of the benches from the Forrest Gump movie (filmed in Savannah) is on display, as is information on the founder of the Girl Scouts. It’s not too overwhelming, and the museum was just the right size in my opinion to keep you interested. The best part of our visit though was the interactive talk led by Ray Christie, a Coastal Heritage Site Historical Interpreter. Dressed in full civil war era garments, he led us through the events that caused the civil war, and the involvement of Georgia. He also shared insights as to who the people were who fought the war, and what life would have been like for them. Then, he led our small group outside to Savannah’s Battlefield Memorial park, where the second bloodiest battle of the American Revolution was waged. He gave us a detailed insight as to how the events here in Savannah unfolded, explaining why so many men lost their lives, and why this was such an important battle. Issued with wooden muskets, we took part in the failed charge on the battlements, and were then treated to an actual musket firing demonstration. If you go to the Savannah History Museum, do try and take in this talk and demonstration, it’s really interesting stuff! The Savannah History Museum is open daily from 9am – 5.30pm, with some closures for public holidays. There’s a fee for entry, and you can see full details here. It’s also included on the Savannah Tour Pass. In the height of the cotton industry, wealthy plantation owners built their town houses in Savannah to show off some of their wealth. Many of these 19th century homes have been preserved today, largely thanks to the efforts of the Historic Savannah Foundation. We visited a number of these homes, which provide a fascinating insight into how the wealthy of the time spent their money and their lives. We’d recommend the Owens-Thomas House as a good option if you’re thinking of just one property – this is one of the finest examples of English Regency style architecture in the US, and the house is wonderfully preserved. It also has it’s original carriage house, inside a part of which you can also find some of the oldest intact slave quarters in the south of the US. 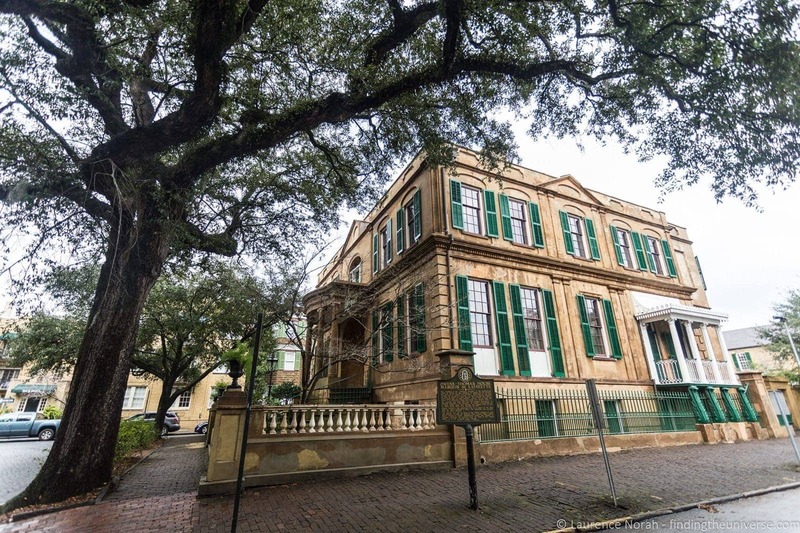 Another good reason to visit the Owen-Thomas house is that it’s operated by Telfair Museums, who also run the Telfair Academy and the Jepson Center, more on which below, and you can purchase a ticket with access to all three at a discounted price, saving yourself a bit of money. This house, as well as a number of other historic homes in Savannah, are also included on the Savannah Tour Pass. 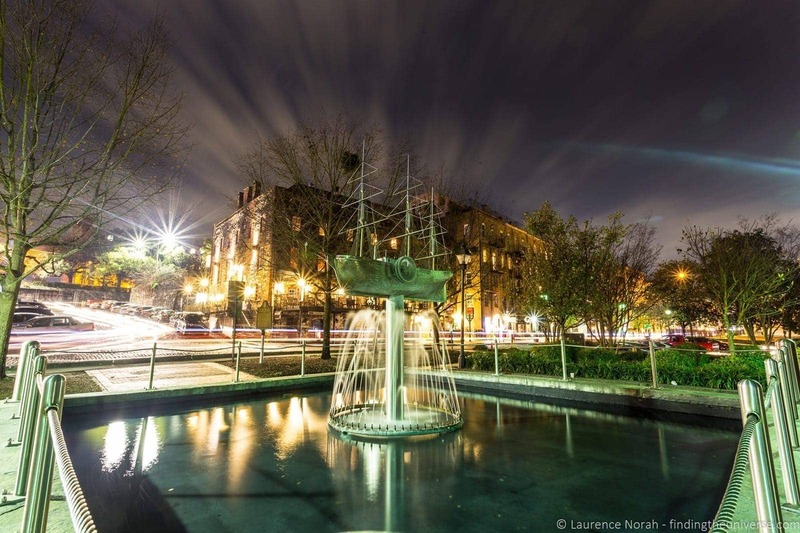 If you’re interested in exploring some art, Savannah has you covered. The aforementioned Telfair Museums have two locations for you – the Telfair Academy, which is set in a gorgeous early 19th century mansion. 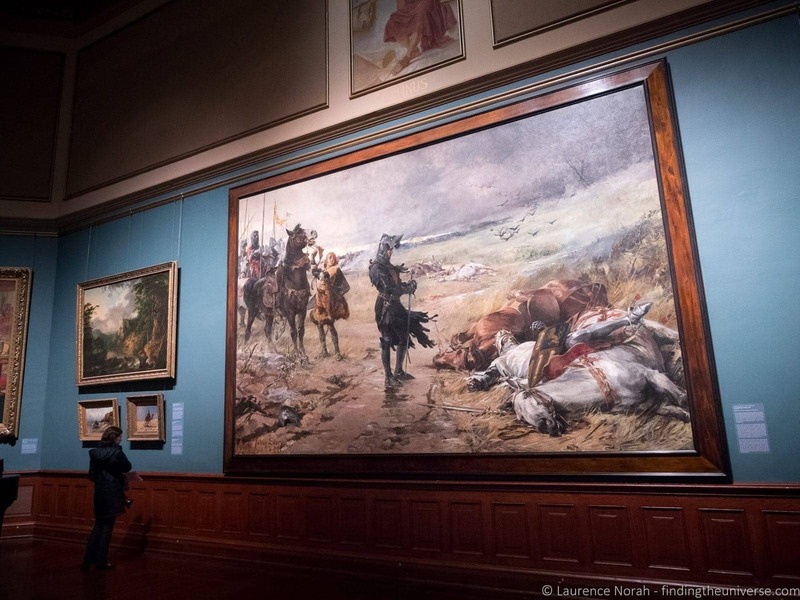 It houses 19th and 20th century American and European art, and also has a number of rooms which are laid out as they would have been originally. So you get the best of both worlds – a museum and a historical home in one! The art on display is really excellent, and I very much enjoyed visiting this home. If you want to see more modern art, then you should visit the Jepson Center. This focuses on the art of today (as well as housing guest exhibitions – we saw an excellent exhibition on Monet and the American artists he inspired), and enjoyed the rest of the exhibition also, which varies between permanent displays, and items that rotate from the 3 million item collection. You’ll probably have noticed by now that Savannah has some excellent history going on, what with all those historic homes to visit and that historic waterfront to wander. I can very much recommend taking a bit of time to explore the Savannah historic district. You can do this yourself, or you can take a guided walking tour, or a trolley tour. These hop-on hop-off adventures are a great way to both get around and also to learn a fair amount about what you’re seeing. Another bonus of the historic district, if you enjoy a drink, is that you are allowed to wander the streets, alcoholic beverage in hand. 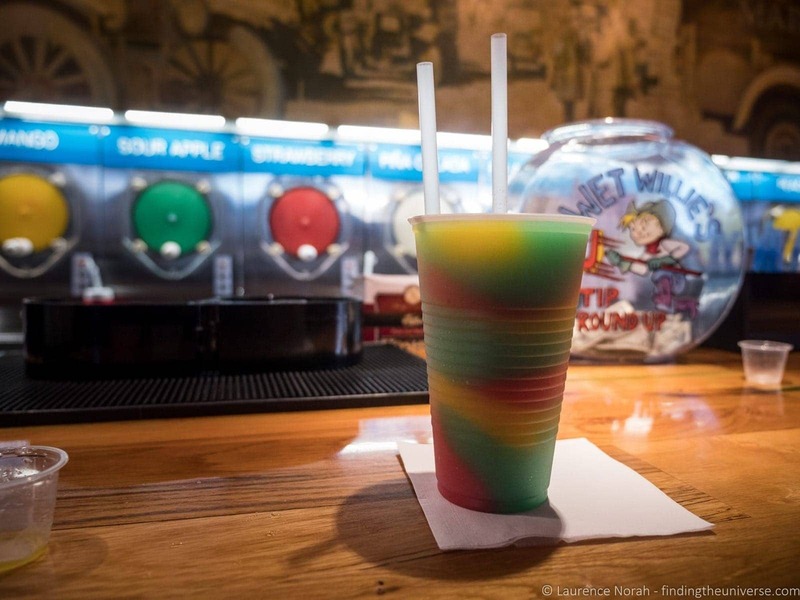 It’s a quirky little rule of Savannah, and does only apply to the historic district, and drinks must be in an open plastic cup of not more than 16 ounces. Along the Savannah River is River Street, one of the oldest parts of the city, and once the trading heart of the city, with cotton setting off from here to destinations around the world. Although abandoned for over a century, the street was redeveloped by the city in the late seventies, and is today a lovely place to wander, with shops, bars, restaurants and hotels, all set to cobblestone streets and cotton warehouses. I particularly enjoyed coming down here at sunset and after dark, with the streetlights on and locals and visitors alike enjoying a drink or two in this wonderfully historic location. I’m not sure where to start on the food of the South! We had amazing food throughout our five week journey. A couple of highlights in the Savannah region were the 80 East Gastropub on Tybee Island, which did some really excellent classic American fare, and Wall’s BBQ in downtown Savannah. 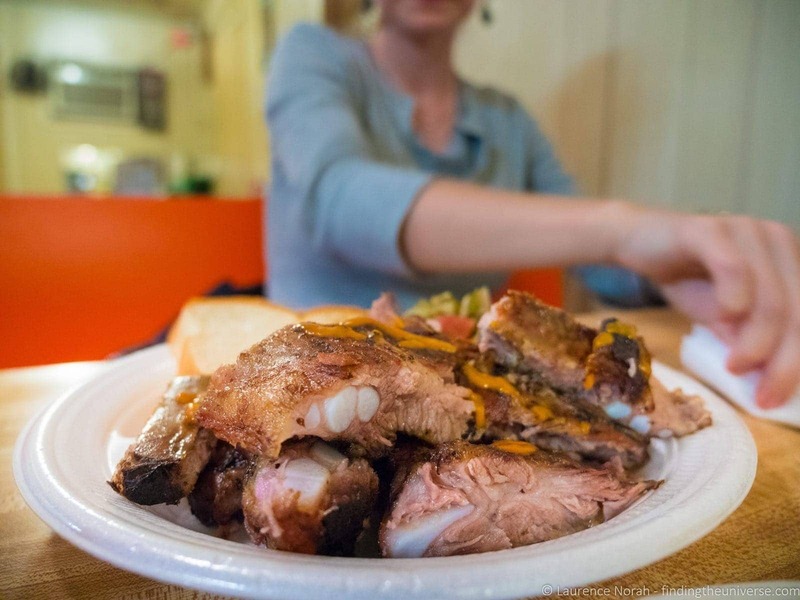 We’d suggest having BBQ at Wall’s whilst your exploring the city itself, and then maybe dining at the Gastropub if and when you head out to Tybee Island. The Gastropub is a bit incongruously hidden behind a gas station, but the service and food were absolutely spectacular – so good in fact that when we stayed on Tybee Island we ate there three nights in a row. Wall’s BBQ was also really a tremendous find in our opinion. Serving up incredible BBQ including pulled pork and ribs, and in operation for decades, it might not look much from the outside, but it’s very much worth seeking this spot out and trying their BBQ options! Finally, if you have a sweet tooth, then you have to try out Leopold’s ice cream. These guys have been serving up delicious ice cream in Savannah since 1919, and they are both entirely tasty and excellent value. Worth sitting inside for the vintage decor! 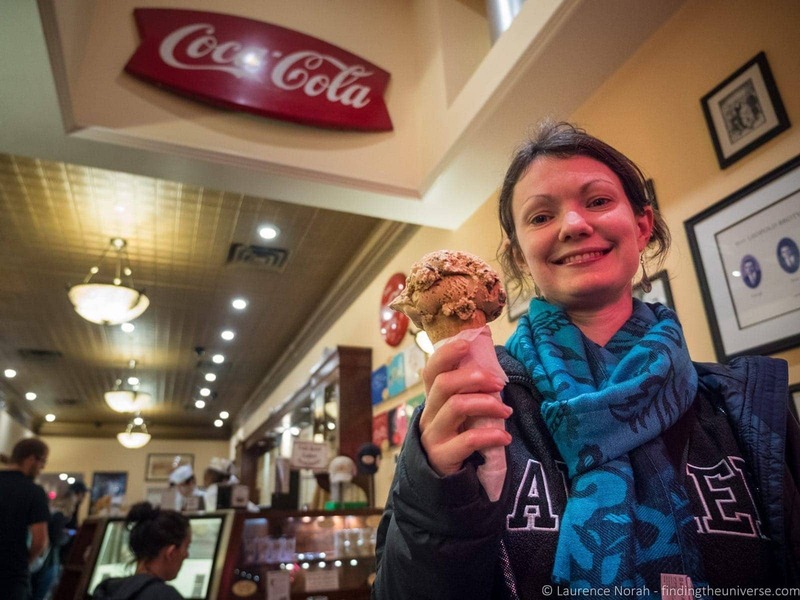 If you are into food and want to try a variety of options, then you might consider taking a food tour of Savannah like this one, which combines a walking tour with food tasting at some of Savannah’s best known eating spots. 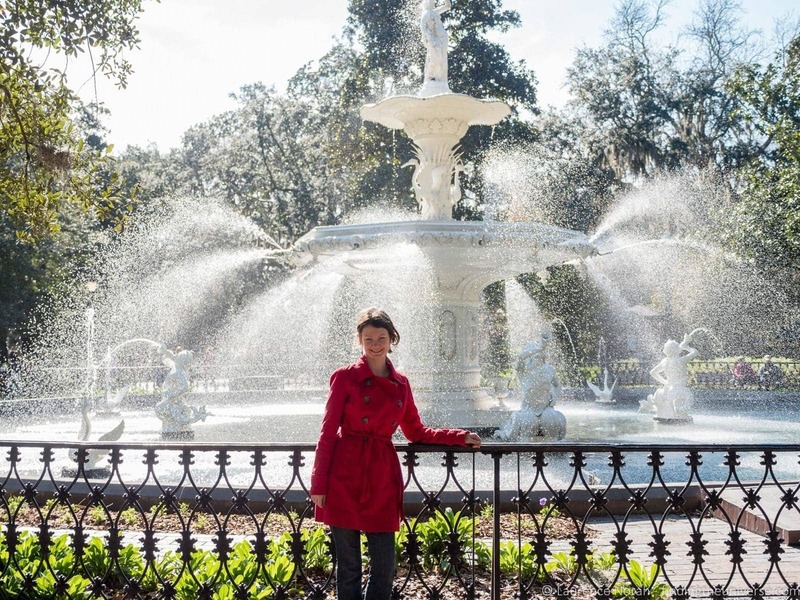 Forsyth Park is one of Savannah’s largest city parks. 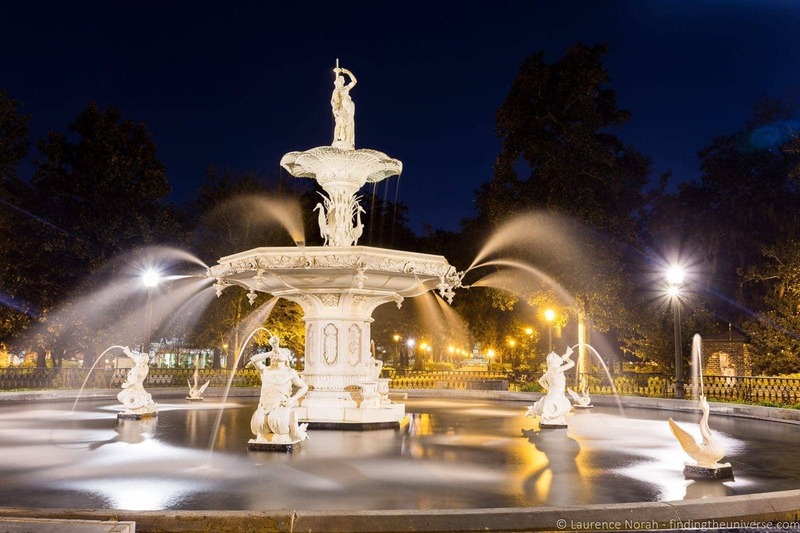 It’s a lovely place to come for a stroll, and is also home to the spectacular Forsyth fountain, a beautiful construction which dates from 1858, and which was modelled after the fountain in Paris’s Place de la Concorde. Forsyth Park also often plays host to concerts and events, and when we visited there was a large concert in progress which was free to attend. Check out the Savannah event calendar to see when an event might be on during your visit to Savannah. Savannah is famous as being one of the most haunted cities in the USA, and has appeared on a number of TV shows which investigate paranormal activity. As such many visitors will want to take a ghost tour of the city. Here you’ll learn all about the ghostly history of the city and hear some of the more famous ghost stories of Savannah. Naturally, for maximum spookiness, the majority of these tours run at night. There are a number of ghost tours running in the city, including this one by trolley bus, and this walking tour. If you prefer to drink and listen, there’s also a walking tour of the haunted pubs of Savannah. 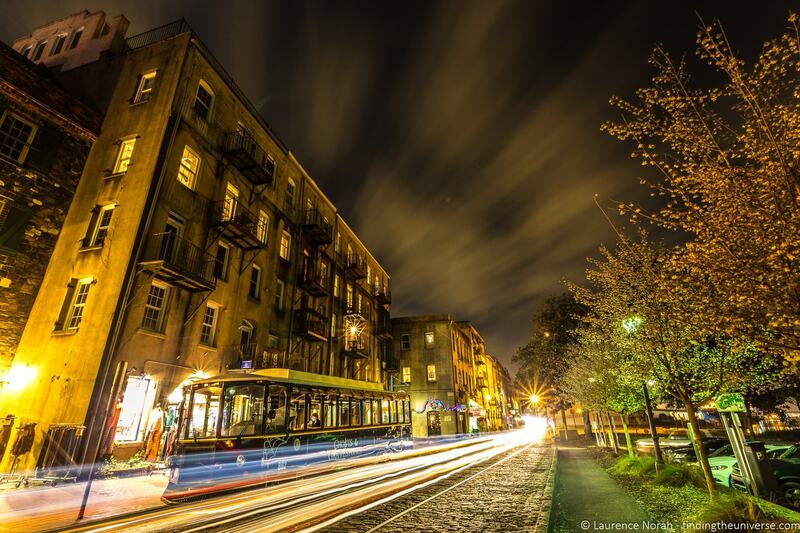 The Savannah Tour Pass also includes a ghost walking tour and a ghost trolley tour. Savannah has appeared in a number of well known movies, including Forrest Gump and the General’s Daughter, with filming locations all around the city. One way to learn all about these locations is to take a movie tour of Savannah, like this one (or this one by Segway!). These tours will take you to all the major filming locations in the city, as well as give you insights and behind the scenes facts from the films. Definitely a good option for the film buffs amongst you! 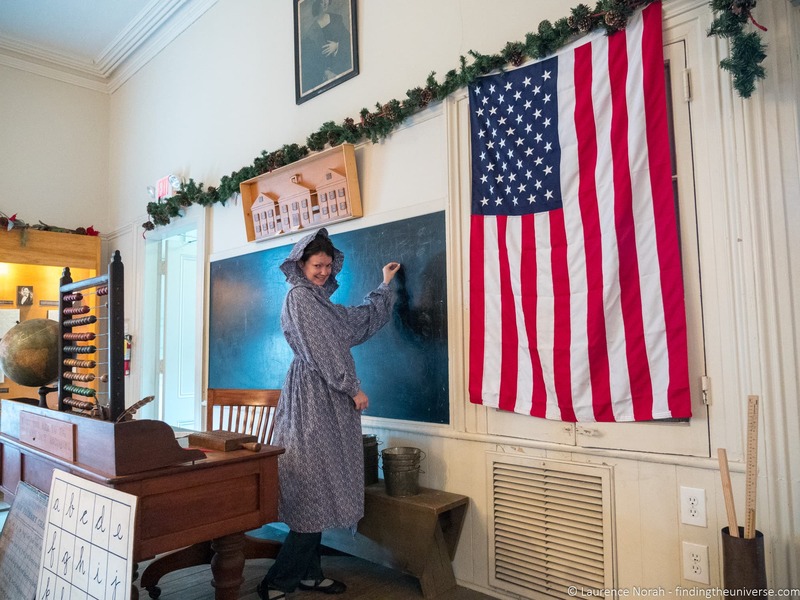 If you want to learn more about the history of Savannah, from everything to the Civil War to why the town was laid out how it was, you will want to visit the Massie Heritage Center. This is found in the former Massie School, which operated for over a hundred years as a school in Savannah, before closing in 1974. 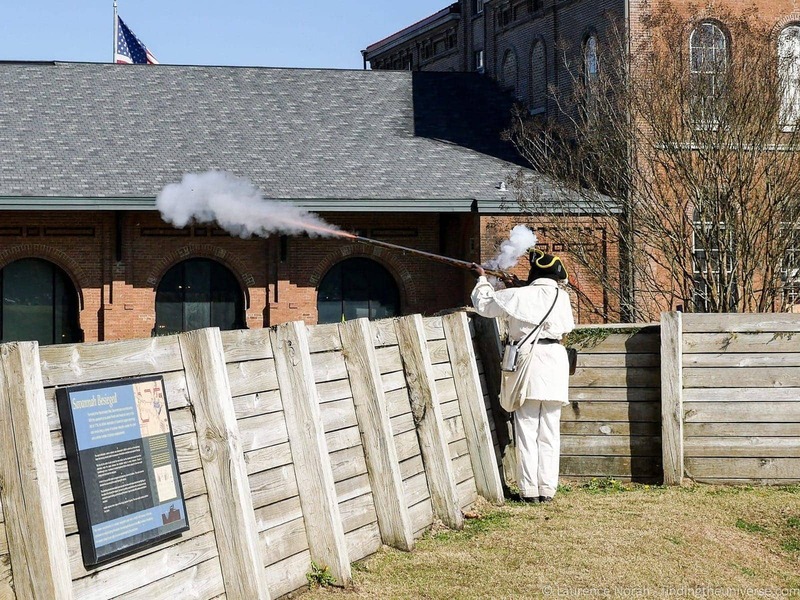 Today the Massie Heritage Center is the place to come to learn about the history of Savannah. There are period costumes, a 19th century classroom, information on the maritime and architectural history of the city, and lots more besides. The building itself is also notable, built in the late 1850s in the Greek Revival style. For one of your days in the Savannah area we suggest heading out of town for a bit of sightseeing. We spent a few nights out on Tybee Island when we visited, which is about a thirty minute drive from downtown Savannah. This was the beach to come to in the early 20th century, and is still a lovely quiet beach town. Highlights include the museum housed in an old gun battery, as well as the lighthouse (great views from the top) and the beach. 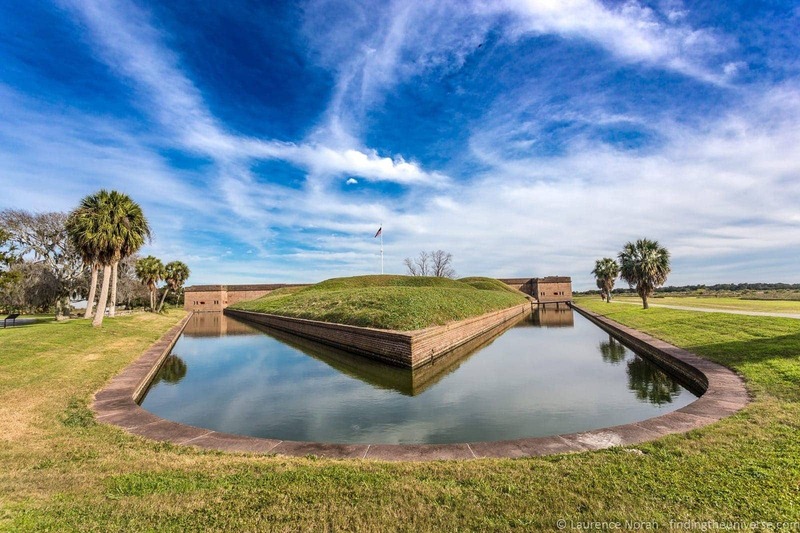 Near Tybee Island is Fort Pulaski, named for one of the heroes of the American Civil War, who died from wounds inflicted during the previously mentioned battle. 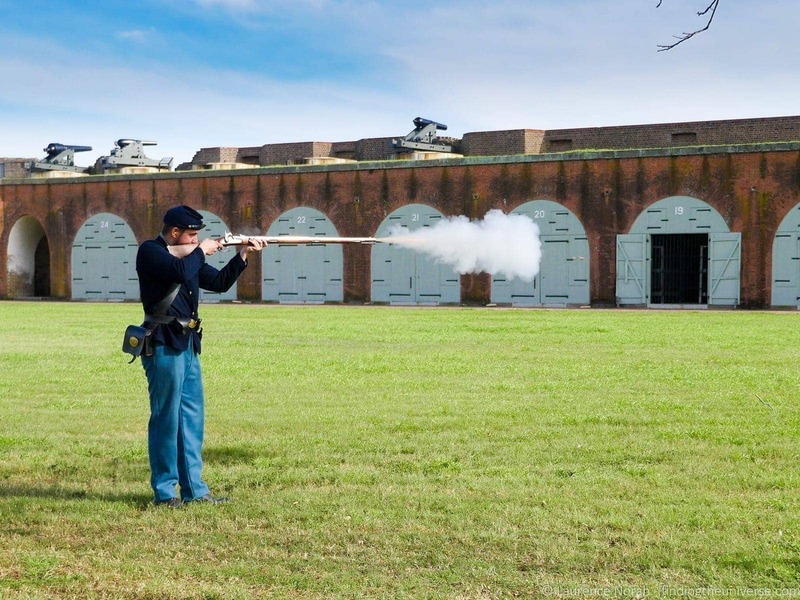 Fort Pulaski was a built as a coastal defence prior to the American Civil War using around twenty five million bricks, and was deemed to be impenetrable. Unfortunately, the invention of the rifled cannon meant that brick fortresses such as this became obsolete, and during the Civil War it only took 30 hours of bombardment before the walls were breached and the fort surrendered to Union forces, effectively handing control of Savannah to the Union. Today, the fort is a well preserved fortress that is fun to explore – not dissimilar to Fort Jefferson in the Dry Tortugas. There’s an informative visitor centre, cannon firings, musket firing demonstrations by the rangers. An unexpected highlight of our visit to Savannah was the trip we took to the Oatland Island Wildlife Centre. This park houses a series of animal exhibits that are scattered across a fairly large woodland area, which meant that we got to have a lovely walk, interspersed with sightings of some fascinating animals. We got very close to a gorgeous mountain lion, and also saw bobcats, wolves, red foxes, deer, bison, various birds of prey, and more! If you’ve got a couple of hours, we’d very much recommend visiting. It was also a real bargain at $5 for an adult. More on opening times and prices, here. 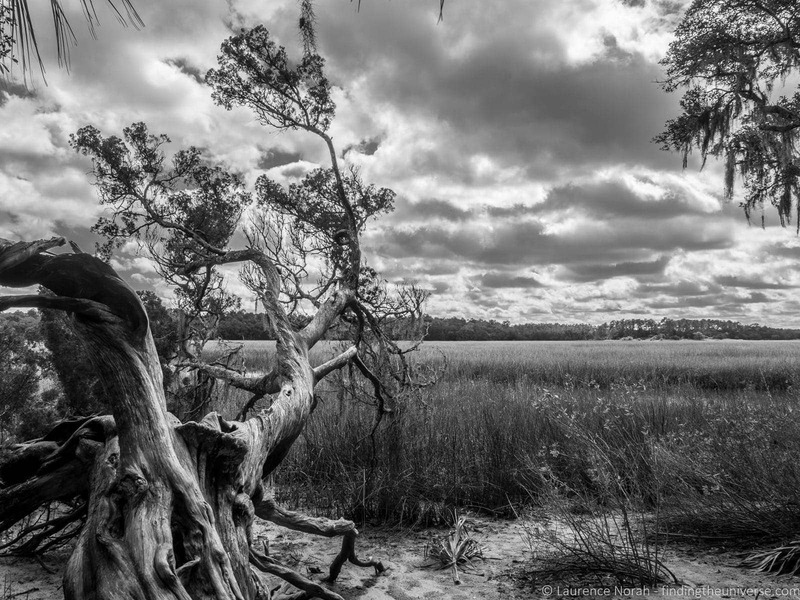 About a half hour south of Savannah are the remains of what was once a plantation home, Wormsloe Hall. 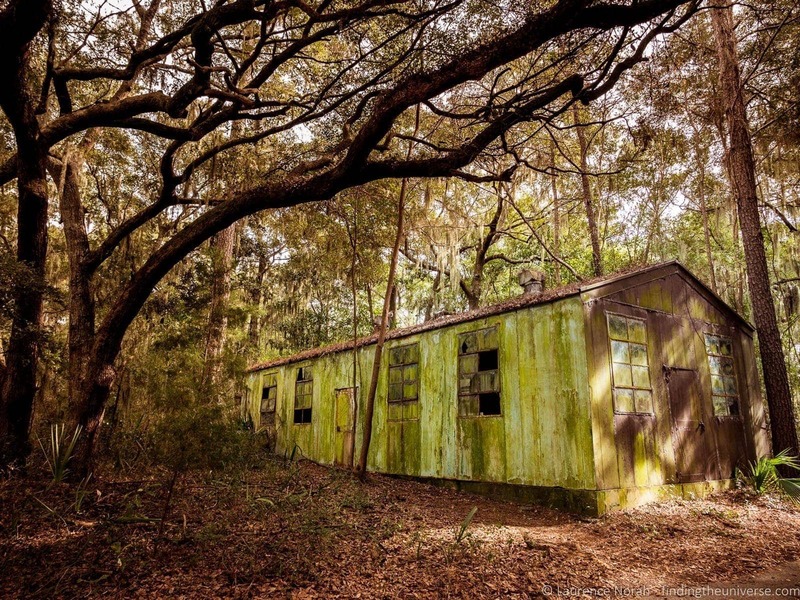 All that remains now are some ruins – the oldest surviving structure of it’s kind in Georgia – as well as some gorgeous woodland, including an incredible avenue of oaks. 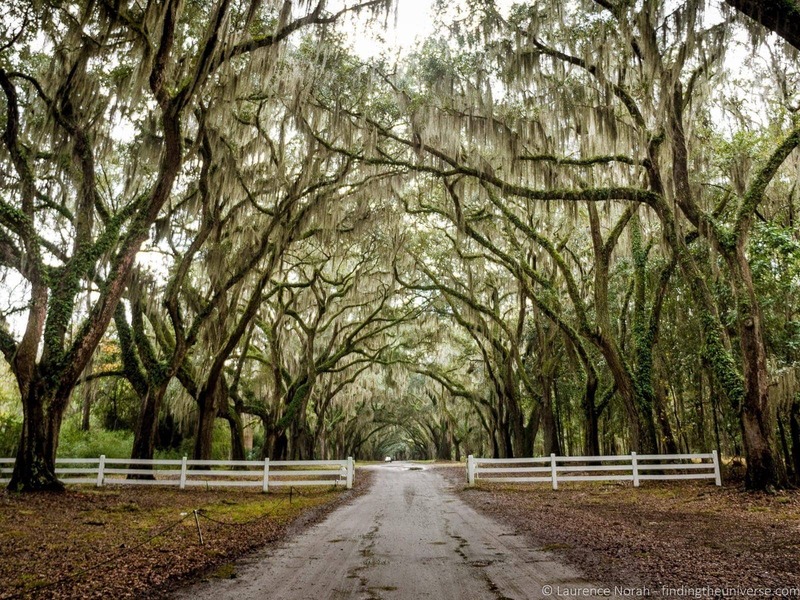 I’d say that the site is worth visiting just for the avenue of oaks alone, which are framed by a beautiful stone archway, but once inside you’ll find more to do, including a visitor centre that details the history of the site, an informative video, blacksmith demonstrations, and woodlands trails to wander. Finally, we’ll end on a slightly sombre note. 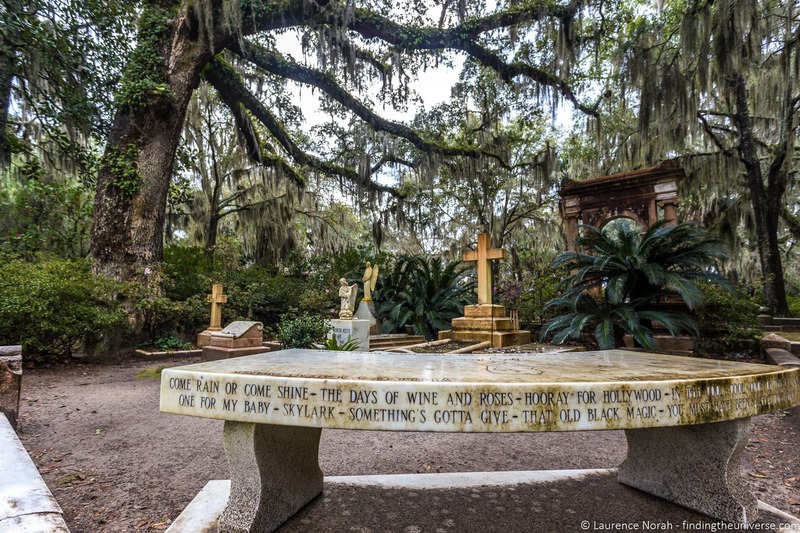 The south has no shortage of interesting old graveyards, but Bonaventure Cemetery in Savannah must surely be near the top of the list of the most interesting! This 160 acre cemetery is filled with lovely moss draped trees, old graves and lots and lots of trails to wander along. Notable graves include singer / songwriter Johnny Mercer and Gracie Watson, the latter of whom has a lovely statue at her grave. Oh, fact for you, if you’re wondering the difference between a cemetery and a graveyard. A graveyard has to have a church. A cemetery can be stand alone. Bonaventure Cemetery can be visited alone, or as part of a tour like this. For maximum thrills, you can even take a nighttime tour of the cemetery – if you dare! A tour of the graveyard is also included on the Savannah Tour Pass. 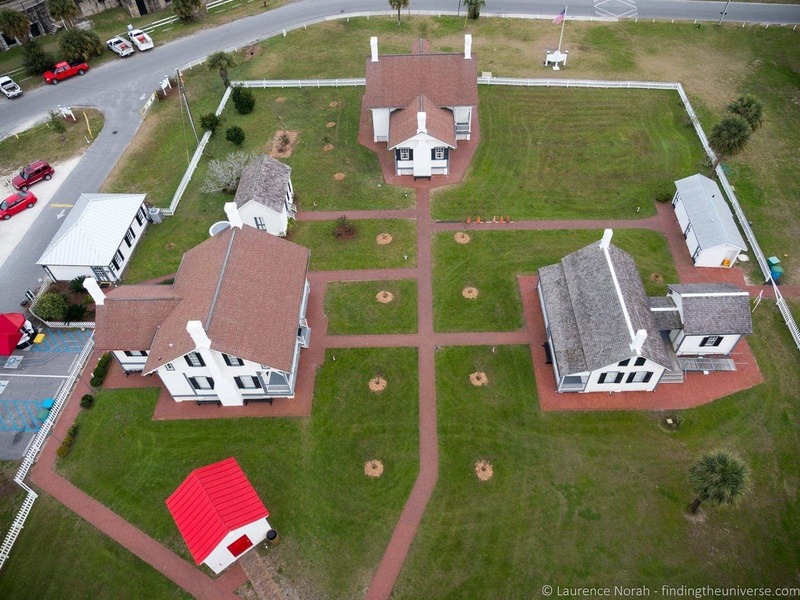 We spent our first few nights in a Homestay on Tybee Island, which was perfectly located for exploring the attractions in this area including Fort Pulaski and Tybee Island Lighthouse. Also handy for easy access to the beach! From there we headed to the Quality Inn in downtown Savannah, which was perfectly located for walking everywhere we wanted to go in the city, and included free parking – essential for a road trip. There are plenty of options across a wide range of budgets though – check out the booking.com listings for Savannah for more ideas. We visited Savannah in January, and it was a bit on the cool side. In the summer, temperatures and humidity can be very high, so the best time to visit is going to be the Spring or late Autumn periods for the most pleasant weather. If you like St. Patrick’s Day celebrations, then Savannah hosts one of the largest in the US – just be aware it’s very popular, so accommodation prices will shoot up! The majority of downtown Savannah is easily walkable, but there are also a variety of trolley services that run to the majority of the tourist hotspots if your feet get tired. For all the sights out of town, you’re going to be best off hiring a car, which is essential if you’re visiting Savannah as part of a US road trip, as we did. We usually recommend and use Enterprise when we’re hiring a car in the USA, we find for the longer trips we do their prices tend to be the most competitive, plus they have an amazing choice of locations across the country. As noted throughout the post, there are a number of tour options you can take in Savannah, depending on your interests. To help you pick and choose, we wanted to share some of our favourite Savannah tour options in one place. A walking tour of Savannah, which covers the history of the city and the historical district of Savannah. A private walking tour is also available. A trolley tour of the historic district – an excellent way to see many of the highlights without working your feet too much! Fans of ghost tours will be spoilt for choice in Savannah. There’s a ghost tour by trolley bus, a ghost walking tour, and a walking tour of the haunted pubs of Savannah, to name but a few. You can even visit a cemetery! Movie lovers will want to visit some of the movie filming locations in Savannah. You can do that on a bus or on a Segway. 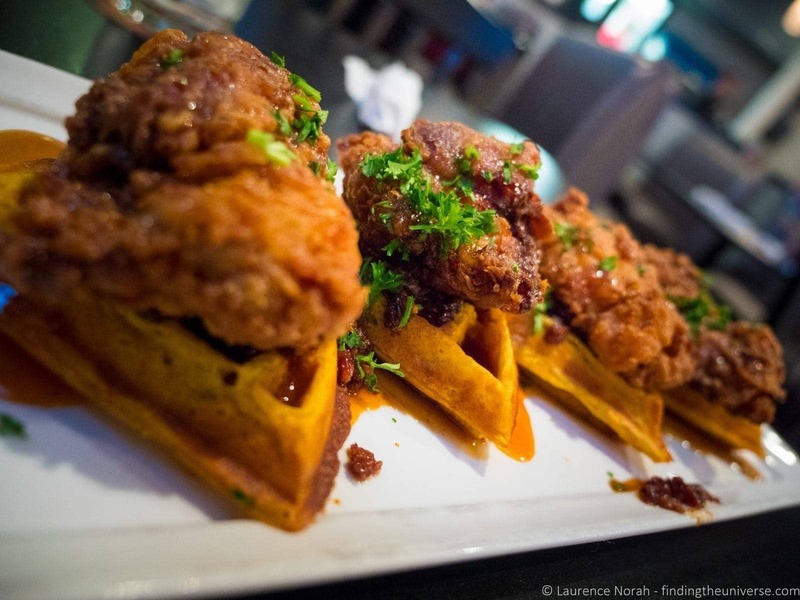 Of course, food is a big deal in the south, and Savannah is home to some fantastic dining options. To get a feel for what is available, a food tour is a great idea. This is a well reviewed food tour of some of Savannah’s secret dining spots, whilst this one focuses on the center of Savannah’s historic district. You can see more food tour options here. Hopefully this list will help you find the perfect tour of Savannah for you! 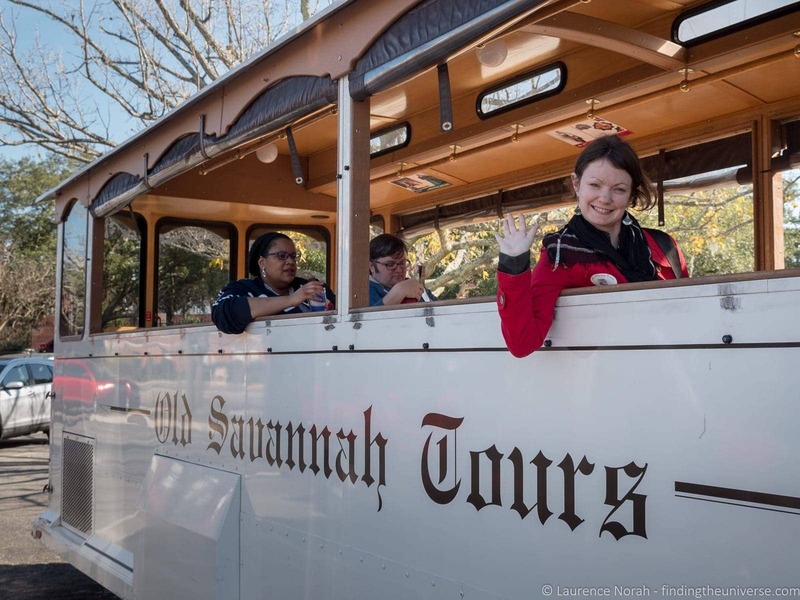 Another option for your visit to Savannah is the Savannah Tour Pass. This comes as a mobile pass which works on all mobile phones, and gives you access to over 30 attractions in Savannah, including many of the attractions on our list. Passes are available from 1 to 5 days in duration, and the multi-day passes can even be used on non-consecutive days. See what’s included and buy yours here. 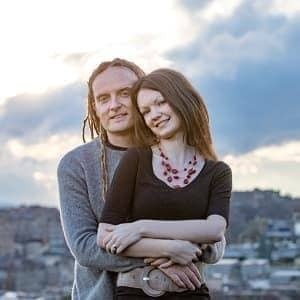 We’ve also written guides to things to do in a number of other cities in the USA, including things to do in San Antonio, things to do in Albuquerque, things to do in Cambria, things to do in Santa Fe and things to do in Santa Cruz, to name but a few. See our complete USA content here. And that sums up our visit and hopefully gives you plenty of ideas for things to do in Savannah for your trip! Have you been to Savanna? Do you have any tips for where to eat, where to stay or what to do in Savannah? Do share them in the comments below! I live in Savannah, and I think this is a pretty good list. I would add that if you are on Tybee, you have to go to the Sugar Shack. And in town, eat at B&D Burgers. All the burgers are named after Savannah landmarks and it is delicious! As a black woman (this ought to be good, right! ), I had difficulty getting past the description of the first stop. Imagine if this was a review of Dachau or Auschwitz and a modern person, dressed in a Nazi uniform “explained” the significance of the Holocaust… People, understandably so, speak of the Holocaust with reverence and respect, yet American southerns and, apparently British-Americans, in this case, find black America’s own Holocaust “interesting” and neat to learn about, and what not. I don’t believe this portion of the post was submitted maliciously. It is apparent, however, that privilege affords distance which permits spectacle. That, from my perspective, is disheartening. Thanks for your comment and perspective. I certainly didn’t mean to trivialise these events that have happened over many years, and indeed, still continue to happen today in various forms. My goal with the post was to provide a high level overview of the attractions in the area, and I think that learning about the history is important – but not as a trivial attraction to be checked off a list. I am sorry that my choice of words implied a lack of cultural sensitivity, and offer my sincere apologies for that. Thanks, Lawrence, for your reply. As I mentioned, I do not believe you acted maliciously and I appreciate your consideration of my perspective. What is the best place to stay in Savanah? Clean but reasonably priced? Hi Ken! “Best” is always going to be subjective, as is what you define as reasonably priced 😉 But here are a couple of options to consider. Note that prices will vary depending on time of year and number of people, so these are just an indicator. The Fairfield Inn & Suites is well reviewed and around $140 a night for two people with breakfast. We stayed in the Quality Inn Savannah which was well located, not quite as well reviewed, but certainly we thought it was fine. Hotels in the historic district tend to be a bit more expensive, so if you have a car and don’t mind a bit of a drive, you might find a better deal a little further out of the centre if price is a real consideration. Correction needed. Savannah is not the oldest city in GA. That would be St. Mary’s, at the furthest SE corner, almost on the Florida line. St. Augustine, FL the only older, contnuously inhabited city in tbe USA. Hey Jennifer! Thanks for your comment. I’ve taken a fairly thorough look at this, and the internet seems fairly consistent in it’s belief that Savannah is the oldest city in Georgia. I appreciate that a myth can often overtake reality, but it seems that St. Mary’s was founded in 1787 (here’s a picture of the town marker: http://georgiainfo.galileo.usg.edu/images/uploads/markers/cityofstmarys.jpg). Savannah was founded in 1733 by General James Oglethorpe. So glad you had a fun trip to my part of the world!